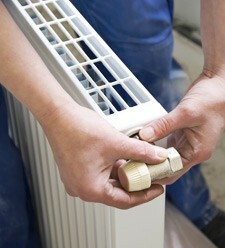 No matter what plumbing requirement you can be assured that we will bring a professional attitude and quality results. The customer's peace of mind is a priority and we work to keep disruption to a minimum. We can clear blockages, fit new bathrooms and deal with emergencies round the clock. Providing the best customer service is vital to maintaining a good reputation and we only install products that meet rigourous standards. From a focus on customer satisfaction we have built a reputation as professional, honest plumbers. We have been assisting domestic and commercial customers in Chilwell and Attenborough for many years. For help with your plumbing disasters and projects contact us on 0115 815 7281 to see how we can help. We don't charge a call out fee so that is one less thing to worry about. Contact us for a plumbing service of the highest standards. However we help you can be confident of a professional service from start to finish and that everything will be taken care of by honest, reliable plumbers who care about their work. We offer free estimates! To get yours just give us a call and we'll give you one!